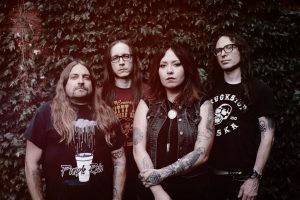 Stream WINDHAND’s recently released track “Diablerie” now on all streaming services HERE. Embodying the album’s more reflective side, “Diablerie” fully captures the band’s artistic growth and the juxtaposition of genre-bending, heavy psychedelia that’s apparent throughout Eternal Return. Additionally, watch WINDHAND‘s previously released “Grey Garden” video, the lead single off their forthcoming album Eternal Return, AT THIS LOCATION.